Apple Arcade is scheduled to launch later in 2019 and will offer a variety of different games to enjoy. Joining the likes of Google and Nintendo in offering game subscription services is Apple, who recently announced plans to launch Apple Arcade later this year. Through Apple Arcade, gamers will be able to enjoy a multitude of different titles on Apple devices including Mac, iPhone, iPad, and Apple TV. Apple Arcade is scheduled to launch in the Fall of 2019 and will offer over 100 different titles for gamers to enjoy. According to Ann Thai, Apple Arcade will offer over 100 different games for players to enjoy once it launches in the Fall. As added incentive for gamers considering whether or not to purchase a subscription, it’s confirmed that there will be exclusives only available through Apple Arcade. Another interesting feature teased alongside Apple Arcade is enhanced privacy and security, with Apple promising that the service will not collect user data or track information without consent. While this may not be something gamers actively think about when deciding whether or not to purchase a game subscription service, it is a nice feature to have on offer. 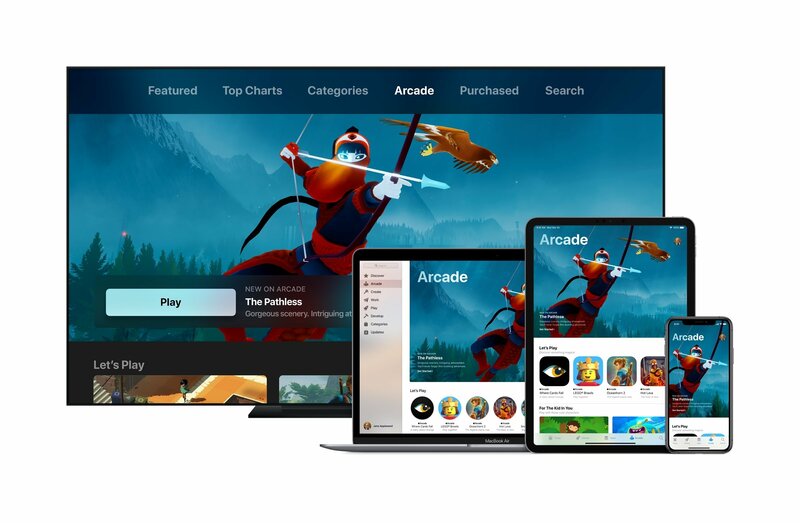 It’s worth noting that Apple Arcade isn’t a carbon copy of Google’s Stadia, but is more aligned with services like PlayStation Plus or Nintendo Switch online. Games offered through Apple Arcade will not be streamed, but are instead fully downloadable and can even be played offline. As of the time of this writing, the subscription fee for Apple Arcade has yet to be outlined. A full list of all 100 games teased by Apple has also yet to be revealed, though several partners were teased including Annapurna, Klei, Finji, Sega, Konami, Platinum Games, Sumo Digital, Devolver, Lego, Disney, and Cartoon Network to name just a few. After learning about Apple Arcade, what are your thoughts? Are you an Apple user eager to expand gaming options on your Apple devices, or are are you more content to use consoles like PlayStation 4 and Xbox One over iPhone and Mac? Let us know down in the comments below! For more on Apple Arcade, be sure to check out the reveal trailer down below, and read more about the service on Apple’s website.